Looking to develop your company’s future leaders? Aimed at graduates from any discipline, our intense five-day tailored Graduate Programme, hosted at The Development Company’s very own Newgale Lodge, will aid in shaping delegates into future company leaders, learning skills which are essential for achieving maximum success within their graduate careers. There are five core areas which we have identified as critical to shaping graduates into tomorrow’s leaders. These issues will be explored and analysed over the course of the five days at Newgale Lodge in a range of challenging ways. Why choose The Development Company? DCo’s Graduate Programme has been designed to complement in-house graduate development to provide a well-rounded experience for delegates. The programme will deftly combine classroom-based learning – whilst avoiding leaving participants poring over a textbook or flat PowerPoints – with experiential hands-on tasks, allowing graduates to expand their practical knowledge of essential skills and to really challenge their boundaries, all whilst utilising the beautiful local area surrounding the Lodge. The Development Company have expertise in supporting graduate progression, and our vibrant, passionate and challenging consultants and technicians have an abundance of experience in delivering programmes and bringing out the best in delegates.  A residential course based at Newgale Lodge, which is proudly owned by The Development Company, takes delegates out of their workplaces and homes, away from their day-to-day routines and stresses and into the unknown, making the course a lot more intense, ensuring that everything learned during their time at the Lodge will be retained far into their graduate careers. The local area is an integral part of the course; graduates will take part in range of activities, including a CSR module in which they will liaise with local charities to provide a service to them, which will involve decision-making, communicating effectively and developing their ability to work as a team towards a common goal. Alongside this, delegates will attend workshops at a local theatre to focus on presentation and communication skills, with continuous feedback and guidance at the centre of the learning process.